A new study in The Journal of Clinical Endocrinology & Metabolism shows that if sleep apnea is left untreated, even for just a few days, can increase blood sugar and fat levels, stress hormones and blood pressure. This study also adds support for the consistent use of CPAP, which can lead us to discussing the further importance of oral appliance therapy for those that are CPAP non-compliant. Previous studies focusing on metabolic and patients with OSA, typically collected data while participants were awake. As a result, this only showed us one area of how OSA affects a person’s overall health and wellbeing. In this new study, participants slept in a sleep laboratory at the Johns Hopkins Bayview Medical Center. Here, their brain waves, blood oxygen levels, heart rates and breathing were recorded every night. Their eye and leg movements were also observed and recorded. Recurrence of OSA associated with sleep disruption. This withdrawal also led to increased levels of free fatty acids, glucose, cortisol and blood pressure during sleep. The more severe the OSA was in a participant, the more these areas increased. While this study emphasized the importance of CPAP therapy for OSA patients to prevent metabolic and cardiovascular consequences, this can be the same for oral appliance therapy. This is especially true for OSA patients who have a hard time tolerating CPAP. ORal appliance therapy can help provide proper treatment for OSA while also preventing complications. As dental sleep medicine specialists, we have the unique opportunity to provide our patients with treatment that works and is comfortable. Let’s continue to remain ahead of the treatment of sleep apnea with oral appliance therapy and the benefits it continues to offer. Millions of Americans have a hard time falling or staying asleep at night. This is especially true for women more than men. According to a professor at the Yale School of Medicine, insomnia is more common in females and can begin early on in women in their teens or 20s. Research has shown that women are more likely than men to experience insomnia and other sleep disorders. In fact, they are about 1.5 times more likely to have insomnia. A 2006 Canadian study found women were 1.3 to 1.8 times more likely than men to have insomnia. And in a 2007 National Sleep Foundation poll of Americans, 60 percent of women between the ages of 18 and 24 only got a good night’s sleep a few times a week while 52 percent of men only had a good night’s sleep a few days a week. Women have a greater likelihood of developing insomnia and other sleep disorders because of tremendous changes in hormonal levels experienced from the time they begin menstruating to menopause. Pregnant women may also have trouble sleeping due to increased urination, restless leg syndrome, acid reflux, leg cramps and other discomforts. And for women going through menopause, their sleep can be disturbed by hot flashes and night sweats that might last for years. It is also possible for women to be kept up at night due to non-hormonal factors. For example, more men snore. 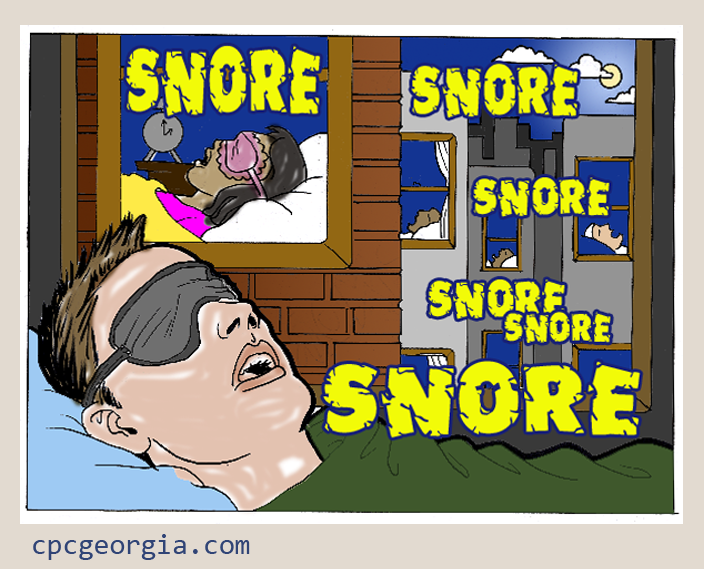 That means more women have to listen to that snoring, which can make falling asleep even more difficult. Additionally, men are more likely to have obstructive sleep apnea, which can interrupt women during sleep due to pauses in breathing and potential snoring. 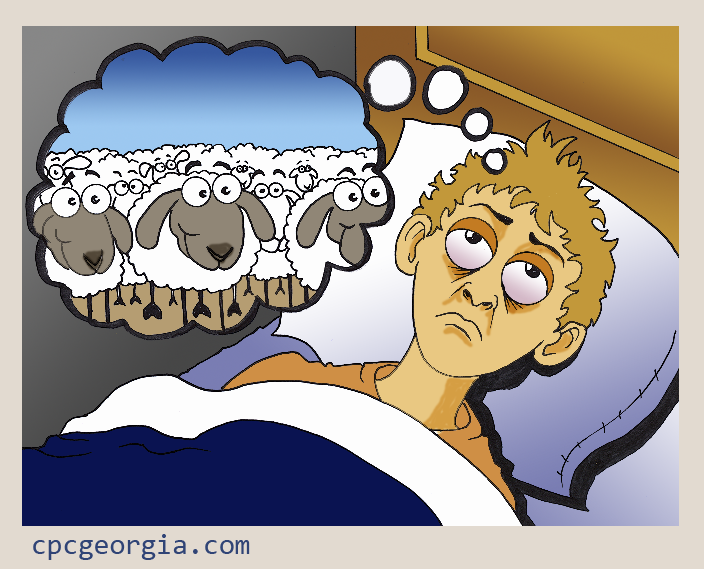 The reasons for insomnia and other sleep disorders needs to be explored. It also needs to go beyond just offering sleep aids. Additionally, many people might self-medicate with alcohol, which as you know, can worsen symptoms of sleep apnea and cause even more inconsistent sleep. We need to help our patients get a better night’s sleep every night, no matter what their sleep disorder is. By asking the right questions and paying attention to their complaints, you might be just what they need to begin their journey toward healthy sleep and wellbeing. Sleep apnea and chronic pain often co-exist, but it is also important to understand each condition individually for the best treatment options. In the new Diagnostic and Statistical Manual of Mental Disorders (DSM-5), it is mandated that coexisting medical and mental conditions should be independently specified when treating patients. This then raises the question, which came first, pain or sleep disturbance? Studies suggest that 50 to 70 percent of chronic pain patients suffer from a sleep disturbance and that 89% of patients seeking treatment for chronic pain report at least one complaint related to a disturbed sleep and wake cycle, according to a recent study. Sleep apnea, restless leg syndrome and periodic limb movements in sleep are the most commonly cited ailments associated with pain. In fact, sleep apnea is diagnosed in 17 percent of headache patients, which exceeds population rates. It is evident that pain impairs sleep, but there is evidence of a biodirectional relationship between pain and sleep. Increased pain in the daytime is often linked with poor subsequent nighttime sleep and poor sleep is associated with augmented next-day pain. What is the relationship between pain and sleep? In patients that suffer from chronic pain, the study states that a self-perpetuating cycle can be set in motion in which joint, myofacial or musculoskeletal disease leads to fatigue. This then leads to decreased exercise and physical deconditioning. Patients then begin to spend more time in bed, which causes their basic circadian cycle to be disrupted. And as a result, the basic physiologic rhythm of sleep is lost and this lack of movement and sleep begins to lead to more pain and even more sleep loss. Obtaining less than six hours or more than nine hours of sleep can be associated with greater next-day pain. To help improve sleep among these patients it is important to encourage exercise. More strenuous exercise during the day will help to promote better sleep. Just make sure the exercise patients are performing is completed at least three hours before bedtime. It is important for us as dentists to be on the lookout for signs and symptoms of sleep apnea. This is also the case for chronic pain among our patients–especially when the two are connected. By gaining a better understanding of this link, you can not only identify these conditions, but treat them individually for the best results. With new research becoming available, it is important that we remain aware of new connections with sleep apnea. In a new study published in the journal Obstetrics and Gynecology, it was found that insomnia and sleep apnea can lead to premature births. And, from this, it augments the prevalence of serious health-related issues in preterm babies, such as cerebral palsy. Premature births that occur before the 37th week of pregnancy are a major problem worldwide. About 15 million premature babies are born in the world every year, which places them at an increased risk of death from birth-related complications. Aside from cerebral palsy, preterm children can experience developmental disabilities, hearing impairments and other health problems because they were unable to fully develop in the womb. In an analysis of three million pregnant women from 2007 to 2012 in California, it showed that better sleep could minimize the number of premature births. Researchers analyzed anonymous records that contained medical history for these women about their pregnancies and the delivery of their babies. It found that about 2,300 women had been diagnosed with a sleep disorder during pregnancy–insomnia and sleep apnea were the most frequent problems. From this information, it was found that insomnia increased the risk of preterm birth by 30 percent while sleep apnea increased it by 40 percent. The study also found that 5.3 percent of women with sleep disorders gave birth before 34 weeks compared to 2.9 percent among women without sleep disorders. Understanding this relationship is important because there is a need for interventions to minimize preterm birth rates. Unfortunately, many times pregnant women often go undiagnosed, which is why it is important to seek a diagnosis for proper care. Results from this study can help alert physicians and dentists to this potential danger.